USDA Organic Certified, Cold Pressed Rosehip Oil in Airless and Lightless Bottles. We know there is good Rosehip Oil and poor quality Rosehip Oil. Good Rosehip Oil is amazing for the skin and full of Essential Fatty Acids. But some Rosehip Oils don’t seem as nice. They can smell different, have a different colour and not seem to work as well. Some don’t even feel like Rosehip Oil. We have sourced the supplier of the highest grade Rosehip Oil we could find. Our Rosehip Oil is cold-pressed and certified organic by the USDA, which is one of the most rigorous organic certification schemes in the world. It is beautifully coloured with that rich rosehip smell and it feels amazing on the skin. One of the problems of pure Rosehip Oil is that it can oxidise (combine with oxygen) and loses its effectiveness quickly. Anti-oxidants won't do a thing if they have already oxidised in the bottle. For this reason, we have bottled our Organic Rosehip Oil in airless and lightless bottles. We love Rosehip Oil because it is full of the right fatty acids and anti-oxidants. But there does seem to be some exaggeration in its marketing and some high prices charged. It is not a miracle oil, just a very good one. There are a number of very good suppliers of Rosehip Oil around. Compared to our other products, Rosehip Oil is relatively simple to make and so we have priced it in the same way we have priced our other products. That is to be as affordable as we possibly can, considering the cost of the ingredients we use. There is a high demand for quality Rosehip Oil worldwide at the moment. Accordingly, it costs us more to purchase it. For those of you with good memories, you’ll notice a price increase due to the increase in costs. We’ve kept the price as low as we possibly can, because we know how much you love it! Full of fatty acids and antioxidants, Rosehip Oil is good for helping improve the appearance of skin and fine lines. It’s also good for most skin types including those with sensitive skin. Directions: Apply to entire face in the evening then follow with your favourite night time moisturiser. Rosa Canina (Rosehip) Fruit Oil (it’s the good stuff!). Everyone knows there is good quality and poor quality Rosehip Oil. So how do you tell the difference? Check who the organic certification body is? There are some good organic certification companies and some obscure ones. Some “organic certification” is done by companies connected to the seller of the product. Checking can be done online. 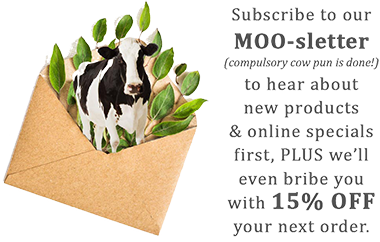 MooGoo Rosehip Oil is from a Unites States Department of Agriculture (USDA) certified organic supplier, and there are some other reputable bodies like Australian Certified Organic. It should also be cold pressed Rosehip Oil. Check the bottle design. It should not let light in or too much air as Rosehip Oil can oxidise and lose its effectiveness quickly under these conditions. It should be a nice yellow/orange colour as this shows it is relatively unrefined. If it is a clear colour, it may not be as high quality. Rosehip Oil has a unique fragrance. Some people enjoy it, others don’t like the smell. However, if Rosehip Oil is packaged in an inappropriate bottle with too much air or light, it can go rancid fairly quickly. You can tell this by a strong smell, some describe it like salami. Definitely not pleasant. MooGoo puts our Rosehip Oil in an opaque bottle that is relatively airless. Even so, we would suggest using it within a year.